This story will follow Queens Park Rangers, QPR used to be one of the best teams in England. In the 1975/76 season they were top after all their matches and had to wait three weeks for Liverpool to win and claim the title. Since then they have gradually slipped down the leagues despite having players such as Les Ferdinand and David Seaman play for them. The manager will be called Elliot Tomlinson a 24 year old who grew up supporting QPR, the fans will love him! The only problem is he has no coaching license and wasn’t any good at football in real life, he only played Sunday League. He will face the wrath of the board for the slightest mistake as well as trying to gain the players support. The chairman’s has gone mad! He has signed this inexperienced manager but on a positive for the club has put £50 million into the club as well as a few other surprises along the way. I will try and post regularlly but if i don't, I apologise. Don't post in the feed irrelevant posts to the story, thank you. I would also like to credit Wikipedia for player and staff biographies if they ever appear. 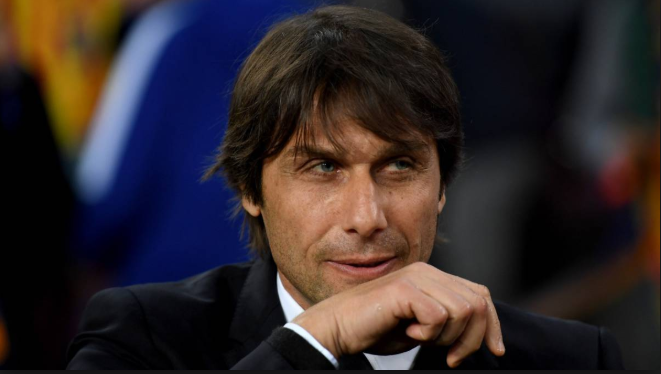 Antonio Conte has signed for QPR as the chairman unveils another massive surprise for the fans. The manager Elliot Tomlinson has thanked the chairman and says this will help him massively in his new quest as manager of QPR. Critics are puzzled by how this signing has occurred but the general consensus is that the new chairman simply must have the money and good contacts. This has shown that this new overhaul by the chairman is serious and not just any old take over. QPR are coming! The QPR chairman has announced what he says will be his last investment in the club until the end of the season. It is a shock to fans as it turns out the club had hidden the expansion by pretending there was a massive estate being built around the stadium. The local council has said it agreed to this cover up so as to increase the surprise for the local community ahead of the clubs new season. The chairman has also announced that due to pressure from the board if Elliot Tomlinson can not meet expectations right from the start he will face having his contract terminated. Bowles began his career as an apprentice at Manchester City, although his fiery temper resulted in his falling out with coach Malcolm Allison and being released after a series of off-field incidents. After a brief and unsuccessful stay at Bury, he was signed by Ernie Tagg, manager of Crewe Alexandra, then in the Fourth Division, where his skill caught the eye of a number of bigger clubs. In October 1971 he was signed by Carlisle United, at the time a Second Division club, scoring 13 goals in 36 appearances for the club. After a managerial change at the club, he was sold to Queens Park Rangers (QPR) for £110,000 in September 1972. He replaced in the team a previous QPR folk-hero, Rodney Marsh, who had been transferred to Bowles' first club Manchester City only six months before. Bowles took over Marsh's number 10 shirt, which other players had been reluctant to wear in fear of being compared unfavourably to the mercurial Marsh. Bowles had no such qualms about taking the shirt, joking that, coming from the North, he had never really heard of Marsh. Bowles was often regarded as something of a character both on and off the pitch. Bowles has been known to cite a notable incident in his playing days involving the famous FA Cup trophy. Having won the FA Cup competition four days prior, Sunderland were parading the trophy at Roker Park on 9 May 1973 when they met QPR in the old Division 2. The trophy had been placed on a table at the side of the pitch when Bowles tore straight across the park and claims to have kicked the ball at it full speed, sending the Cup flying through the air. According to Stan, the crowd predictably went ballistic, but he had the last laugh by scoring two goals in the match which ended in a pitch invasion. 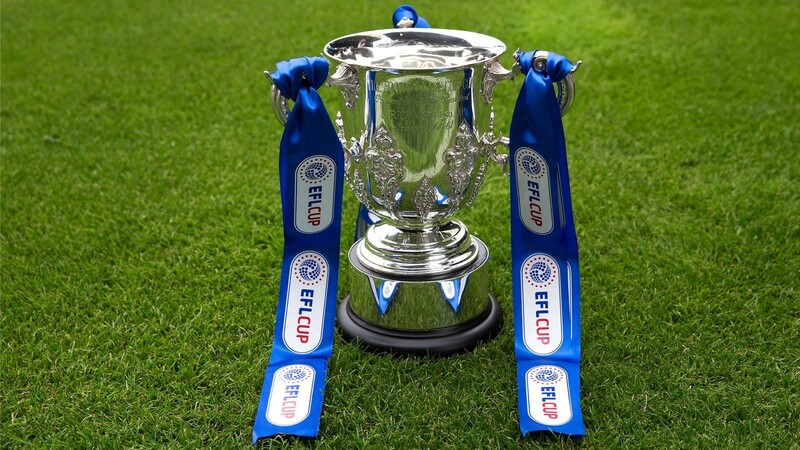 Some reports suggest that some of the QPR players had laid bets as to who could hit the trophy first. However this version of events has been disputed and, according to Gordon Jago (QPR's manager at the time), it was Bowles's teammate, defender Tony Hazell, who struck the cup with an accidental clearance. Bowles spent just over seven years at QPR, playing a central role in arguably the club's greatest ever team, that which finished as league runners-up in 1975–76 under Dave Sexton. A 2004 fans poll saw him voted the club's all-time greatest player. In 1979, Bowles fell out with QPR's new manager, Tommy Docherty. Bowles responded to Docherty's plea of "You can trust me, Stan" with "I'd rather trust my chickens with Colonel Sanders".Docherty made Bowles train with the reserves for nearly six months, before selling Bowles to Nottingham Forest in December 1979. Despite the fallout between Docherty and Bowles, Docherty continued to play Bowles for QPR right up until he was sold to Nottingham Forest. At Nottingham Forest, Bowles failed to settle under the management of Brian Clough and he ruled himself out of the 1980 European Cup Final after Clough refused to allow Bowles to play in John Robertson's testimonial. Bowles was essentially understudy to the world's first £1 million signing Trevor Francis during his one season at the City Ground, and before the season was out Clough was already targeting Coventry City's top scorer Ian Wallace as his replacement. Bowles was then sold to Leyton Orient for £100,000 after making only 23 appearances in all competitions. He joined Brentford the following year and remained at the club until retiring at the end of the 1982–83 season. Bowles came out of retirement to briefly rejoin the club on a non-contract basis during 1983–84 season, before retiring again in February 1984. He received a testimonial in 1987, earning £17,000. Post-retirement, he continued to play at non-league level for Epping Town. His 1996 autobiography revealed the extent of his drinking, womanising and gambling during his playing days, and also helped to secure a role as a pundit on Sky Sports, where he again replaced Rodney Marsh.Bowles is also the life chairman of the Queens Park Rangers supporters group L.S.A (Loyal Supporters Association). 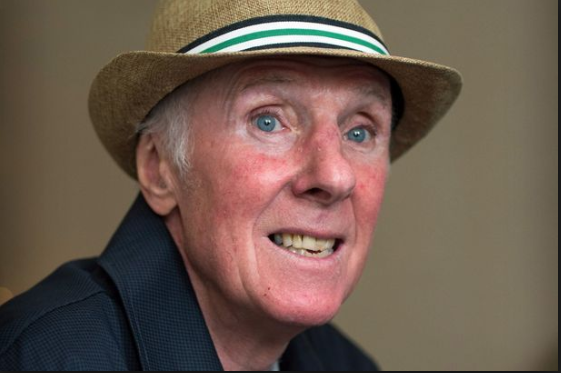 A cult icon, he had a single released bearing his name, Stan Bowles by The Others. Bowles has also written betting columns in the national press and a column in 'lads' mag' Loaded and also appeared on the after dinner speaker circuit. He was also the personal favourite player of John Barnes. QPR have signed Carl Jenkinson for £3.1 million from Arsenal. The 26 year old right back has played for Arsenal for a number of years. This will no doubt cause competition in the team with the new signing Angel Rangel having to fight for his place. 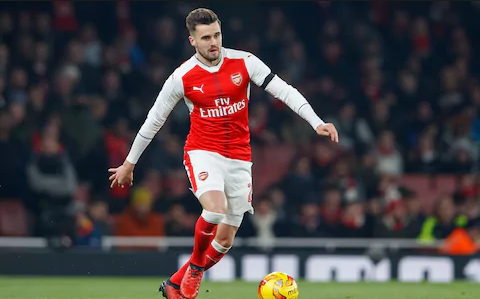 Carl Jenkinson plays as a right back and has played for Premier League club Arsenal as well as Charlton and Birmingham on loan. QPR pull off coup by signing Willy Caballero from local rivals Chelsea. After having a £4 million pound bid rejected QPR have signed Willy Caballero for £4.4 million. The 36 year old keeper is a veteran and should bring a wealth of experience to the R's dressing room. QPR have struggled with keepers since Rob Green left in the summer of 2016. 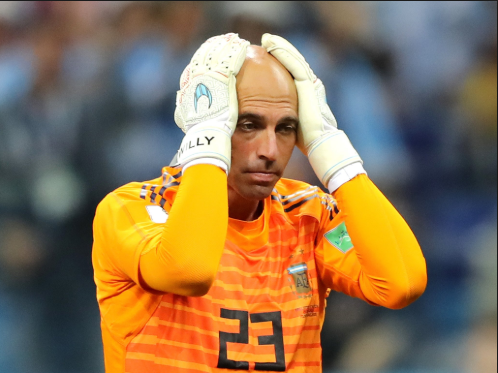 Willy Caballero has played as first choice keeper at Elche and Malaga and, more recently has played as back up keeper at Manchester City and Chelsea. 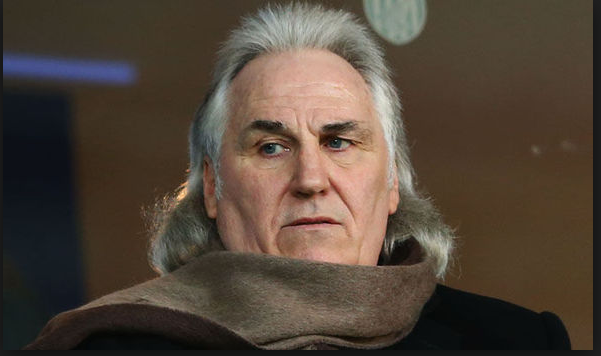 QPR have signed former player and manager Gerry Francis as a coach. This is part of manager Elliot Tomlinson's attempt to get the fans onside. He has also brought in 2 more coaches, an entirely new scouting team and a new medical team. Francis made his first team debut for Queens Park Rangers against Liverpool in March 1969. He was captain and central midfield player during the 1970s and was a key player in the QPR side which came close to winning their first-ever league title in 1976. He won 12 caps for the England team between 1974 and 1976, and was captain for eight of those matches. His International career was limited by a persistent back injury. He left QPR for Crystal Palace in 1979, although he subsequently returned to QPR for a 2nd spell, before a move to Coventry City. However this was a time when he suffered injury problems. In 1992–93, QPR finished fifth in the inaugural Premier League – the highest placed of all the London teams. They finished ninth in 1993–94 and eighth in 1994–95, but in November 1994, Francis left Loftus Road for Tottenham Hotspur. During his three years in charge at QPR, Francis fielded a side containing some of the most feared players in the top flight. Arguably the finest player at the club during this time was striker Les Ferdinand, who had joined the club from non-league Hayes in 1986 but not established himself in the first team until the season before Francis arrived, when he scored eight goals in 18 First Division games. Francis kept faith in Ferdinand, and was rewarded in 1992–93 when the player hit 20 league goals in one season. Ferdinand remained at QPR until his £6million transfer to Newcastle in 1995, by which time he had scored 78 goals in five league campaigns and was one of the most feared strikers in England, being capped for the first time in 1993. In July 1997, while manager of Tottenham Hotspur, Francis signed Ferdinand for £6million. With the resignation of Graham Taylor as England national football team manager in November 1993 following failure to qualify for the World Cup, Francis was one of the many names linked to the vacancy, but the job went to Terry Venables instead. In March 1994, ambitious Division One club Wolverhampton Wanderers made a lucrative approach for Francis to drop down a division and take charge of the club looking to make the breakthrough to the Premier League, but he rejected the offer and Wolves turned to Graham Taylor instead. QPR have signed Chris Mepham from Brentford for a record fee of £20 million. the 20 year old is one of the most exciting prospects in British football and has the potential to be a solid premier league defender. A centre back and occasional right back, Mepham began his career in the academy at Premier League club Chelsea at the age of 10.He was released at the age of 14 and was then turned down by Watford and Queens Park Rangers who have now signed him. 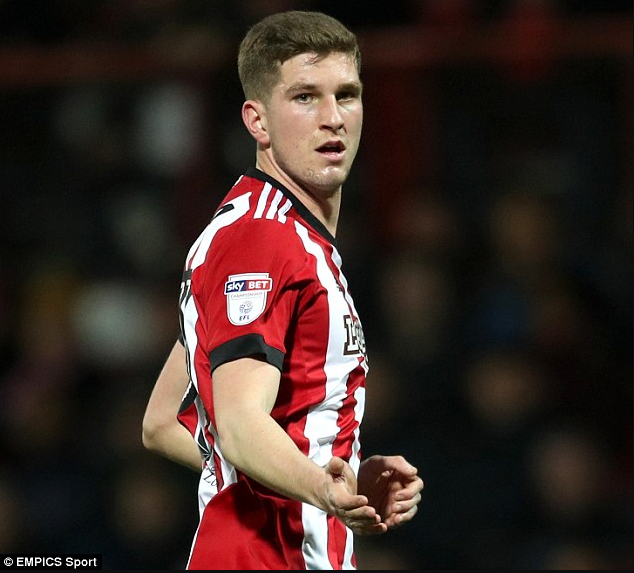 Mepham joined the academy at Brentford in 2012,after being spotted by the club's Head of Academy Recruitment while making a one-off appearance for North Greenford United's reserve team. After making three appearances for the youth team as an U16, Mepham signed a scholarship deal in June 2014. [On 2 February 2016 it was announced that Mepham had signed his first professional contract to be a member of the club's development squad and he finished his scholarship having made 43 appearances and scored two goals for the youth team. After consistently good performances for the reformed B team during the first half of the 2016–17 season, Mepham signed a two-year contract extension on 6 January 2017 and the following day, he made his senior debut as a late substitute for Harlee Dean during a 5–1 FA Cup third round victory over Eastleigh. A successful 2016–17 season saw Mepham named as the club's B Team Player of the Year. 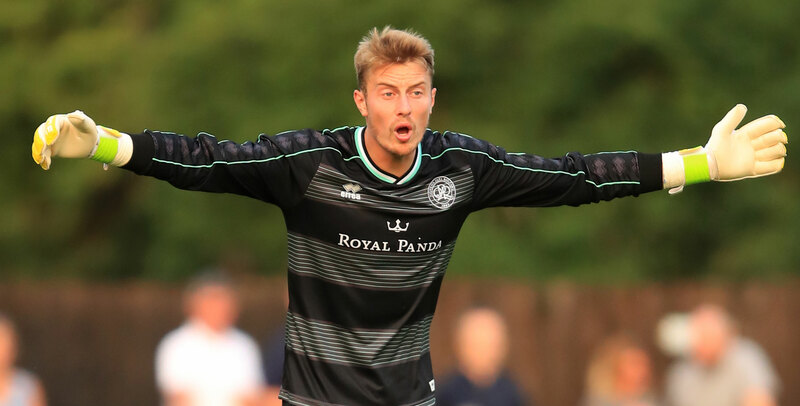 After the departure of centre back Harlee Dean on 30 August 2017, Mepham was promoted into the first team squad and signed a new five-year contract. He made his first start for the club in a 3–1 EFL Cup third round defeat to Norwich City on 19 September 2017 and gave away the penalty which led to the Canaries' opening goal. After appearing sporadically throughout the autumn, a head injury suffered by John Egan in December allowed Mepham a run in the team from the Christmas period until early February 2018. An achilles injury suffered by Andreas Bjelland in mid-March allowed Mepham back into the team and he scored the first senior goal of his career with the equaliser in a 1–1 draw with Sheffield United on Good Friday. He finished the 2017–18 season with 23 appearances and one goal. Fans of QPR have good reason to be worried as leaks to the press report both Joe Lumley and Angel Rangel are unhappy as better players have been signed in their positions. While this is unconfirmed it seems highly likely and some reports are even saying they are both Transfer Listed. QPR have had a pre season that the new manager Elliot Tomlinson will describe as brilliant. They started their pre season against Blackpool and drew 1-1, they would have won if it were not for a penalty they gave away in the first half. Their second match was a tumultuous affair against second Scottish their team Dunfermline Athletic. They won 5-3 and, amazingly had 5 different goal scorers. Tomlinson said to the media that he sincerely hoped his defence would improve by the time the league started and it did seem to spark a reaction. QPR carried this form on into their next match which was a against Doncaster. They won the match 2-1 after Pawel Wzolek rounded off his brace with a 77th minute winner. QPR then suffered a blip in form. They played Oxford United and conceded to a brilliant strike by Ricky Holmes 5 minutes in. Jordan cousins proceeded to let his side down and got red carded 20 minutes in. It was an uphill struggle from there and despite goals from Alex Baptist’s and Geoff Cameron, a further lack of poor discipline gave Tony McMahon a chance to score from the spot and Marcus Browne got the winner on 71 minutes. 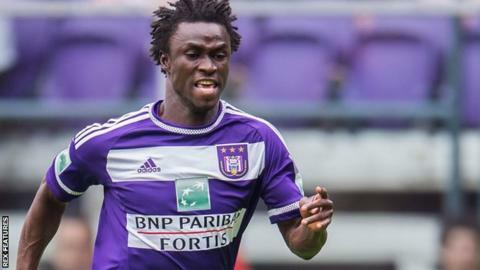 Idrissa Sylla has left QPR and signed for KSC Lokeren for a fee of 250K. Sylla has left after it became apparent he would not be able to renew his work permit with his contract running out at the end of the year. Elliot Tomlinson is going to make his managerial debut against Preston on the 4th of August. In the pre-match press conference when asked what he thought about the magic 50 point mark he said he thought the club would comfortably clear that boundary and could push into mid table. Critics are still very sceptical of the new manager. Elliot Tomlinson has won his first competitive match in charge of QPR against Preston. The final score was 3-0 and the man of the match has been awarded to Luke Freeman for getting all three assists. QPR showed their set piece dominance with two of their goals being from corners. Pawel Wzolek scored a beautiful goal in the 92nd minute to round off a great performance. Danks mentioned that he was delighted in the post match press conference and that the team could definitely build on it. QPR have beaten Sheffield United at the Stan Bowles Stadium on a Saturday to be forgotten for Chris Basham. The Sheffield United central defender got himself sent off 13 minutes in and gave away a penalty. 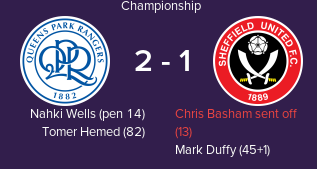 Nahki Wells slotted the penalty away and gave QPR the lead.Mark Duffy equalised for Sheffield United on the stroke of half time and balanced the game. QPR however had too much for Sheffield United when Tomer Hemed scored the winner on 82 minutes. QPR have won their first match in the EFL Cup against Bristol Rovers. The match was a cagey affair where QPR were by far the better team with 10 shots on target. QPR took the lead via a screamer from Josh Scowen 36 minutes in. Their lead was short lived as Serecombe equalised on the stroke of half time. There was further controversy due to a Massimo Luongo goal disallowed because of offside. QPR had the last laugh however when their 100% penalty success rate won them the match. QPR have shown that they mean business by signing Keiran Gibbs from West Bromwich Albion for £17 million. The 28 year old left back has played for Arsenal and West Bromwich Albion as well as England. The chairman of QPR has made a statement and has said that this was the last of the £50 million pounds he had invested in the transfer budget but, there was still money left in the wage budget for loan signings.